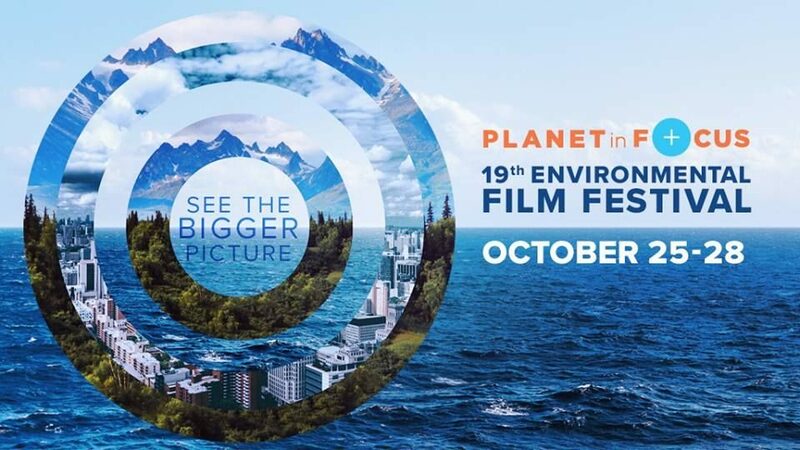 At Planet in Focus, we believe that film is a powerful catalyst for raising awareness about the state of our planet and its inhabitants. We saw this idea in motion at our 2015 festival. 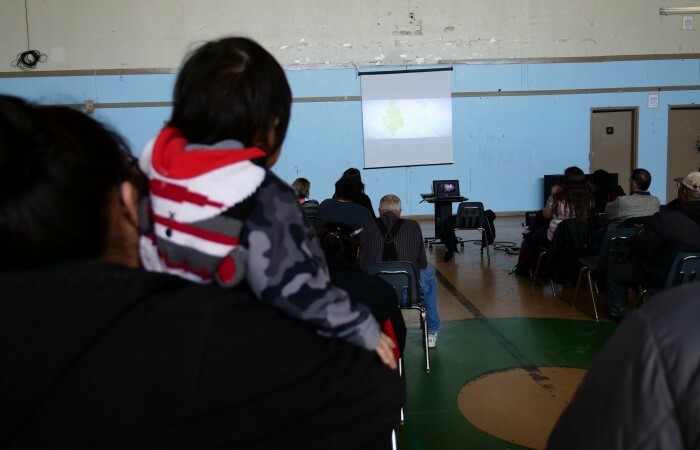 After the Last River, a documentary by Director Vicki Lean about some of the issues facing Attawapiskat First Nation, won Best Canadian Feature and sparked conversations about the urgent situation in the north. Attawapiskat band member Rosie Koostachin attended the screening and brought with her letters from the community. Their messages made it clear that the youth of Attawapiskat needed a platform to share their voices. 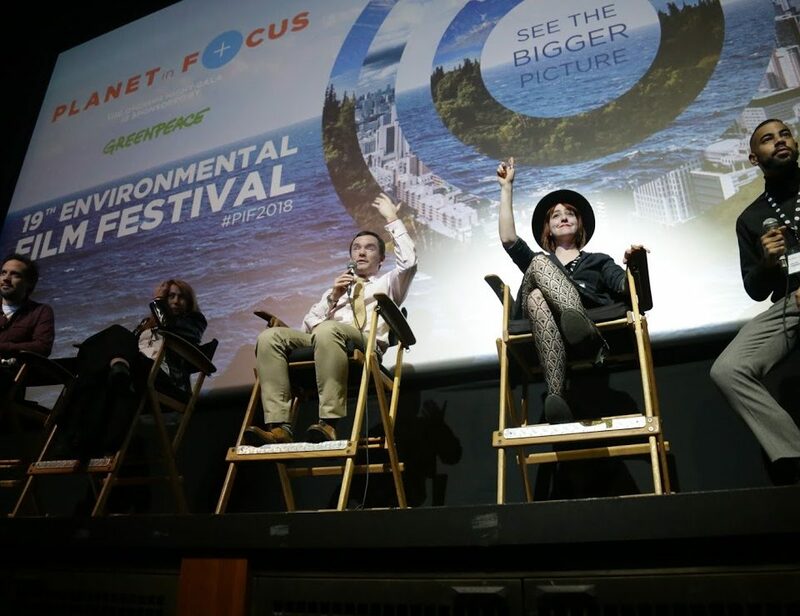 The Planet in Focus audience was moved, and we were inspired to keep the dialogue going. A sign at the airport welcomes you to the community. 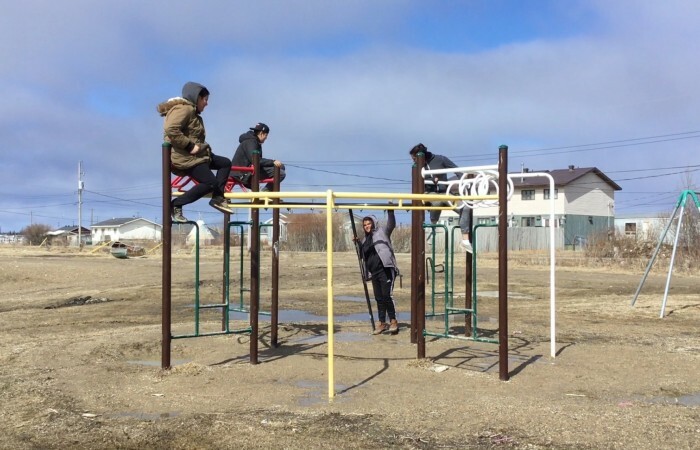 No one could tell the story of Attawapiskat better than the young people who call it home. With that in mind, we created the North South Eco-Film Lab, modeled after our successful student programs in Toronto and York Region, to encourage dialogue, foster understanding, and deepen connections between Indigenous youth in the North and young people in the South. 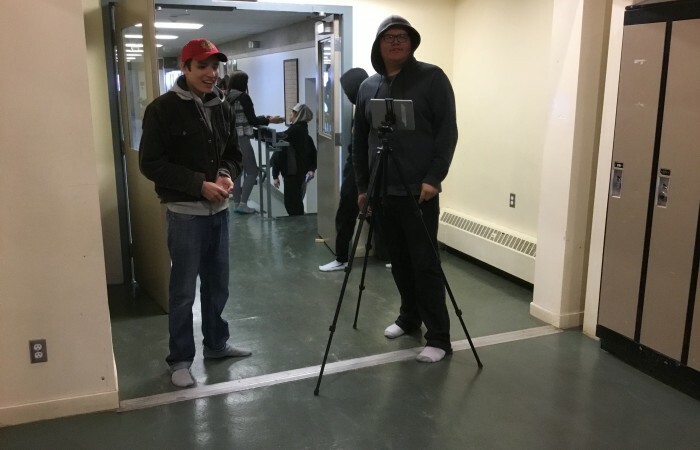 With the goal of amplifying their voices, we launched this special program — teaching the tools and techniques of filmmaking and donating equipment for future use — to make it possible for students in Attawapiskat to tell their own stories on film. Filmmaker Jules Koostachin with students Urshela and Syvanna. Thanks to generous donors and supporters, we were able to bring video and editing equipment to the community for a two-week hands-on workshop. 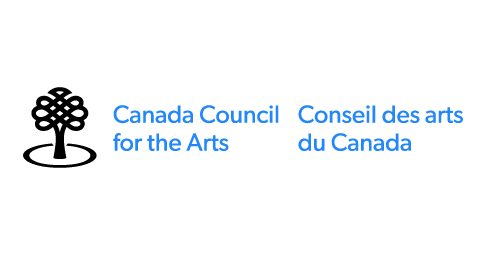 The workshop was headed up by filmmaker Jules Koostachin — an Attawapiskat band member and PhD candidate based in Vancouver — as well as filmmakers Rik Sokolowicz, Vicki Lean, and Jordana Aarons (Executive Director of Planet in Focus). Over the two week period, the filmmakers mentored junior and senior classes at Vezina Secondary School, taught by Mandy Alves. Filming in the hallways at Vezina Secondary School. The workshop was an open forum for students to learn and share. While the filmmakers encouraged and supported media literacy and technical skills, the students spearheaded their own projects. For two weeks, they researched and wrote material, shot scenes, and edited their films. 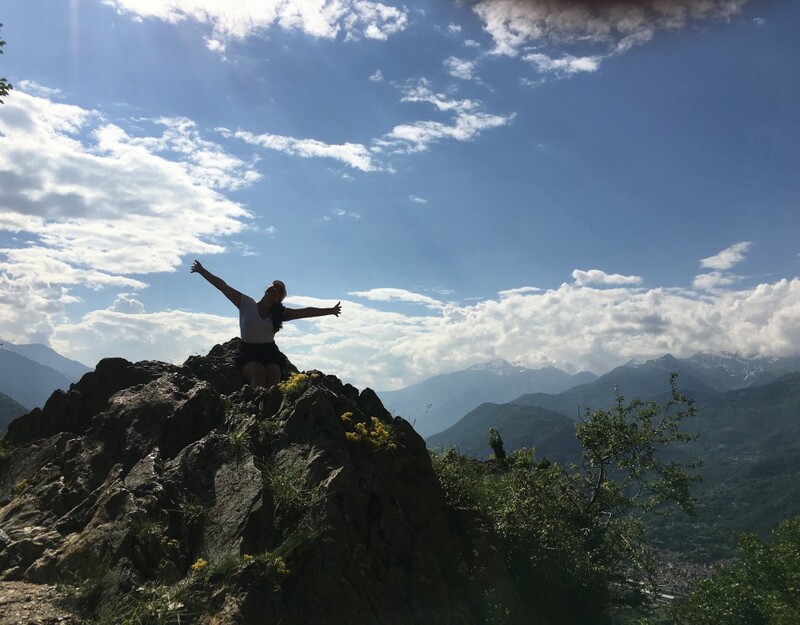 Keeping with the mandate of all of our Eco-Film Lab programs, our key objective was giving students the tools to take ownership of telling the stories that matter to them. Vezina students on the playground, from a scene in one of the films. Their films reflected their lives, mixed in genre and tone. Some were more personal or outspoken, others a portrait of everyday life – at school and around town. Playing and experimenting with film, the workshop was full of fun and learning. Many of the students at Vezina are gifted writers, poets, and visual artists. From composing music to attending film school, these young people shared the incredible ways they express themselves and the goals they aspire to reach. Ray Rayy (Raven) shoots the scene at the playground. 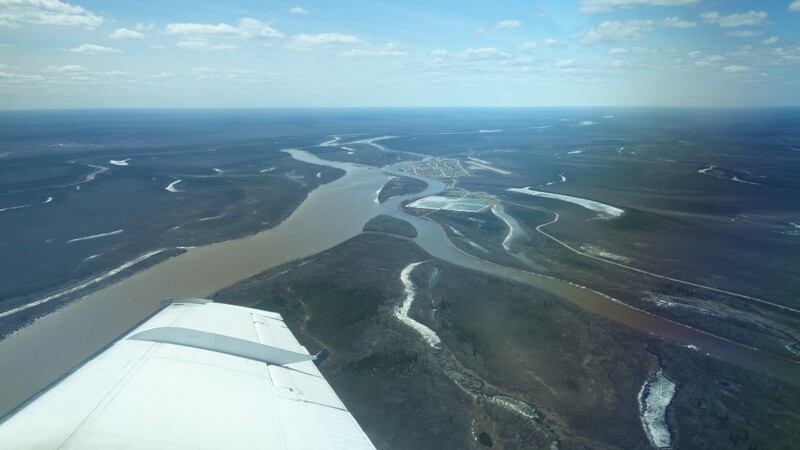 The Attawapiskat River played a pivotal role during those two weeks. We were lucky to be there during the river breakup, an annual spectacle of nature that brings the whole town to the banks. It’s a thrilling event, a wonder to watch and a risk of flood evacuation all at once. 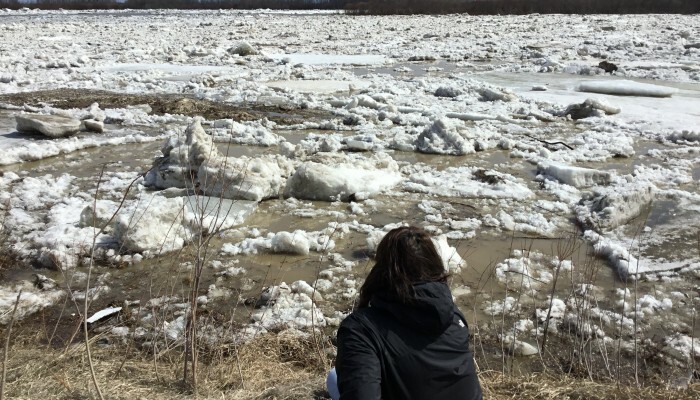 When the frozen river breaks up suddenly, the force of water and fractured ice rush into James Bay. The beauty of the river breakup was the centrepiece of our trip and framed many of the students’ films. Watching the stunning river breakup. There is love and passion for the river, and a respect for its power. It is a life force in the community, a reminder that Attawapiskat is a place with resilience and heart. 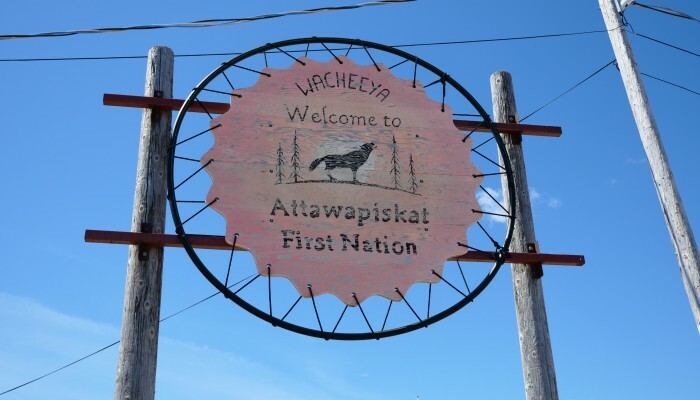 We’re extremely grateful to have been welcomed by the people of Attawapiskat and given the opportunity to spend time with a wonderful group of 35 students. They showed us what life looks like through their eyes, captured on camera. The community came together for a screening of the students’ films. At the end of the workshop, members of the community came together for a screening of the students’ films. Everyone enjoyed celebrating the young filmmakers and discussing how we can continue the conversation. 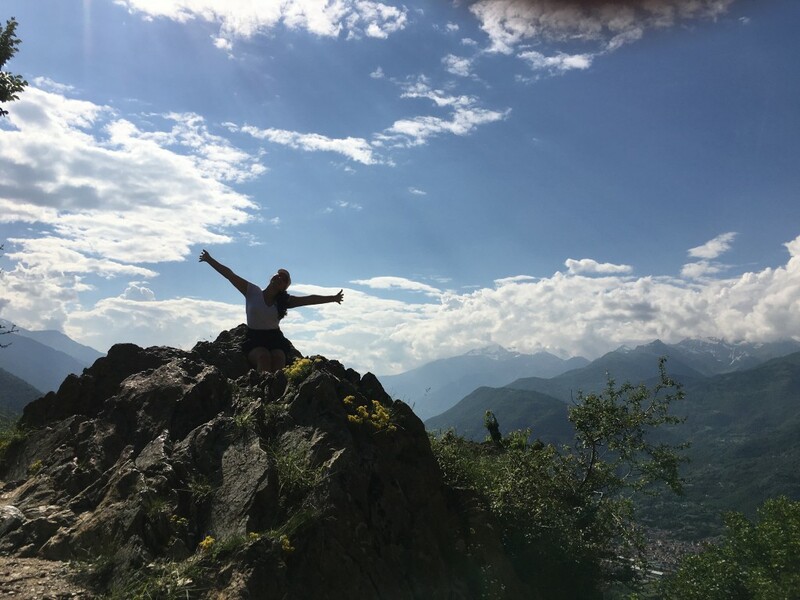 We are looking forward to screening some of the films at our annual international festival this October, joined by some of the students who created them. 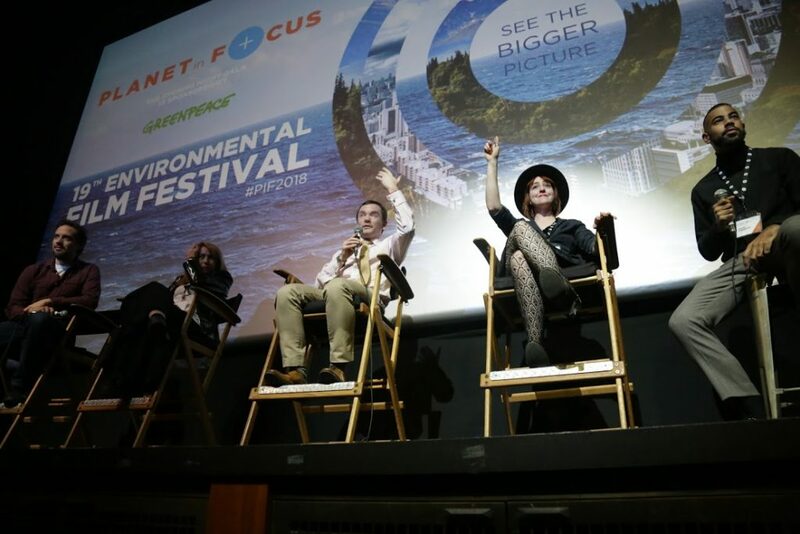 We have also been sharing the films in various forums with students in Toronto and York regions, strengthening the connections between all of our Eco-Film Lab programs. It’s inspiring to witness the emergence of such empathetic storytellers. An enormous thank you to all of our donors and supporters for making this possible, and to the people of Attawapiskat for sharing their stories with us. 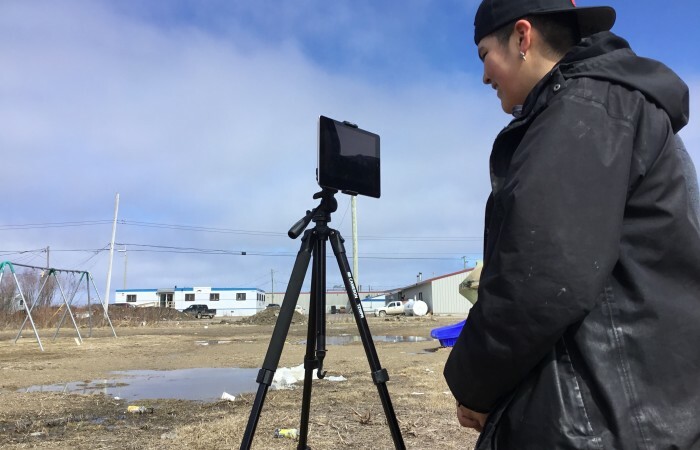 In response to heightened media attention placing Attawapiskat in the spotlight, “Reimagining Attawapiskat” aims to create a more nuanced portrayal of what life is like from multiple perspectives. 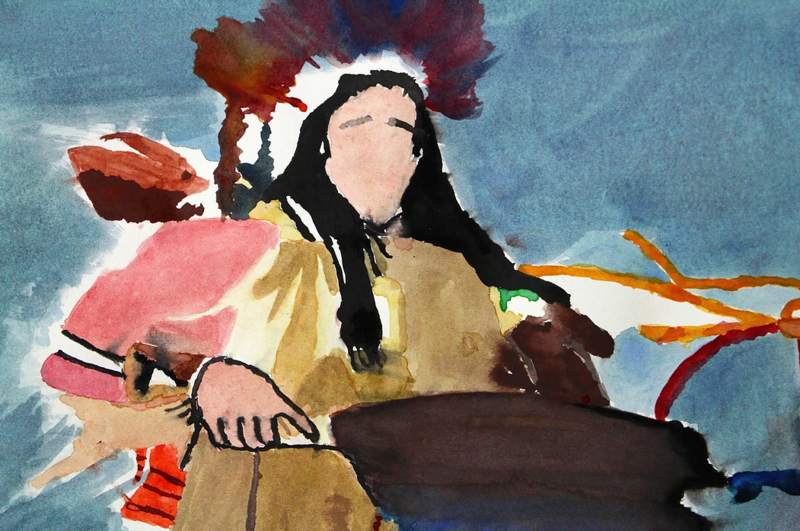 This youth-driven project is a collaborative initiative between artists within the community and art educators who share a passion for mixed media storytelling and community health. Art by Jack Linklater Jr.